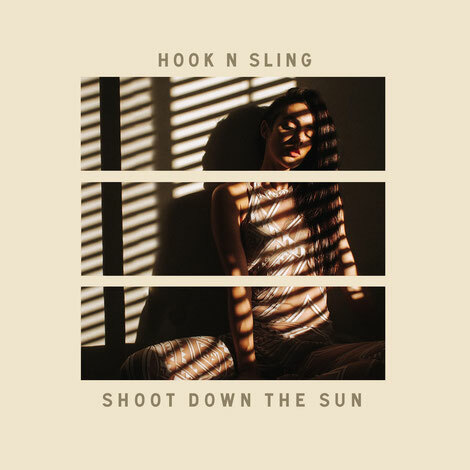 Australian-born, LA-based producer Hook N Sling has previously released tracks that include the 2017 releases ‘If You’re Hearing This’ and ‘Arms Around Me’ with producer Digital Farm Animals, among many collaborations alongside Dutchman Sam Feldt and Swedish duo Galantis. He now returns with a brand new single ‘Shoot Down The Sun’ out now via Astralwerks. Beginning with a gentle piano intro accompanied by vocals, the track comes packed with bass, beats, and a wave of energy that results in a possible singalong tune. In addition to the new release, Hook N Sling has an upcoming show at Houston’s Stereo Live followed by a show at LA’s newest nightclub The Academy on Saturday 21 April. With several platinum-selling records under his belt and dubbed one of the top 400 most streamed Spotify artists in the world, his profile continues to grow.